Conversations around the aged care workforce and the need to increase dementia training among all levels of staff have been abuzz across the country following the recent media frenzy surrounding both the announcement of a Royal Commission into aged and home care and an investigative report into unacceptable failures in nursing homes. Many of the conversations are being shared across social media platforms by the family and friends of people living with dementia or in aged care, as well as past or present aged care staff themselves. Talking Aged Care reader Marilyn Maher was happy to join in the social media conversation sharing with the online community just how pleased she was to be talking about these issues. “I have felt for a long time that there is not enough staff in these care facilities, and staff need to have better qualifications,” she says. “I have just had to place my mother in care and hoping it will be a good experience for her, so far so good. Her sentiments were echoed by a number of other active readers like Rodney Coleman who says “training for dementia is key”, and Ruth Coley who elaborates on the issue even further. “The most essential thing to implement is training,” Ms Coley explains. Aged care worker Heather Tobin, who is currently studying a Bachelor of Dementia Care with the University of Tasmania, also commented on social media about the need for more in-depth training within the industry. “The Cert 3 course is an absolute joke and needs to be more detailed and much longer and harder,” she says. Having worked in aged care for 28 years across in-home and residential care settings, and even in assessment within the Aged Care Assessment Team (ACAT), Leonie Seeds took the opportunity to share her own experience of the industry, just like Ms Tobin. 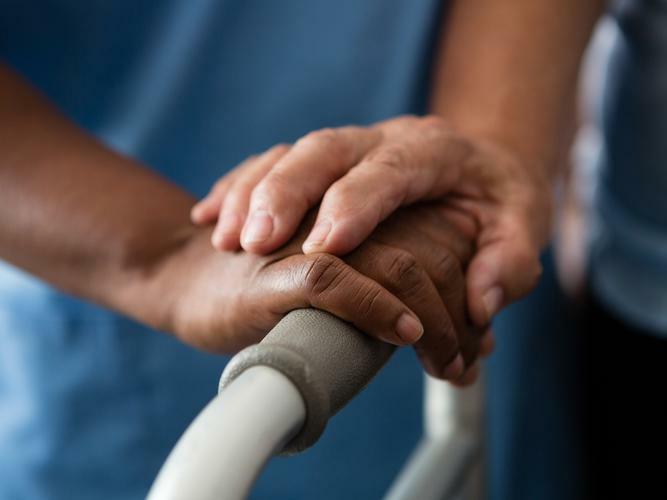 “I understand from my own experience, the stories of seniors and their families, nurses and care staff that staffing is inadequate to the task of providing attentive, dignified and professional care,” she explains. “Nurses with clinical responsibility are alone without peers and they oversee treatment, as well as manage palliation, supervise all the other care staff, liaise with families and doctors on care plans. Chief Executive Officer (CEO) of Open Colleges School of Health, Alexis Watt stands by the education units offered in the national aged care courses, but notes that not all aged care training is the same, with course running times ranging from 4 weeks to 6 months, and including 120 hours of unpaid work placement. “With regards to the aged care course currently on offer, it is a Certificate III in Individual Support, which is the equivalent to year 12, and the way it is build in the national system means it has a set of core units and electives that every training provider needs to offer them,” he says. “Our view is that Certificate III is reasonable in providing care to the elderly and that the mixture of units in the course are also reasonable and are designed to cover the breadth and depth of the skills needed by someone to do the job safely and well. “In the courses that are say four weeks in length, learning is condensed into a short period of time and it’s like cramming for a test. “You could get all the answers right on the day, but ask the same questions a week later and you’ve forgotten most of the answers. “These courses don't allow students to embed their knowledge over time and for the range of people studying. Mr Watt says that some aged care providers have been known not to accept people with these ‘short course’ qualifications. “The issue comes when providers don’t have a lot of choice in who they employ - like in smaller towns and areas - they need to take the workers they can get otherwise they aren’t able to provide their service to their clients,” he says. 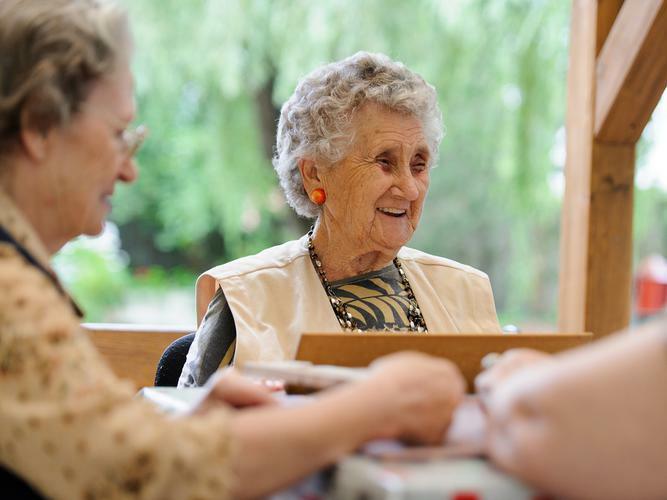 National peak body for people living with dementia, Dementia Australia, has also spoken out on the issues of overuse of antipsychotics, understaffing and the lack of training within the aged care sector. “We know there are thousands of aged care staff in Australia committed to providing high quality care and we acknowledge them for their professionalism and the care they provide to those in care, however the system in many instances is letting our most vulnerable people down,” Dementia Australia CEO Maree McCabe says. “As the national peak body advocating for the rights of people, of all ages, living with all forms of dementia, we have a responsibility to act for all those impacted. With more than 50 percent of all those in residential aged care in Australia living with dementia, and with the number of people in Australia with dementia expected to increase to 1.1 million by 2056 if no breakthrough is found, Ms McCabe says education needs to be a focus. She adds that Dementia Australia is continuing to call for the introduction of quality standards around dementia, increased dementia training levels and qualifications and funding framework to support these initiatives. “There needs to be a fundamental shift in the approach to dementia healthcare education - not only is serious investment in training a must but dementia specific qualifications should be introduced,” she says. “We would not allow people receiving treatment for cancer or other chronic diseases to be cared for by staff with no understanding of those conditions yet currently people living with dementia are often in the care of well-meaning but under qualified staff doing their best to manage complex care needs. Despite the opinions and push from Dementia Australia, Mr Watt believes that the current mandatory dementia training unit in the aged care vocational course is adequate for new workers in the industry. “Looking at the unit, we believe that it contains the right level and volume of knowledge and skill needed to be a personal care worker,” he says. Mr Watt also took the opportunity to highlight that not everything is a negative. “Yes there are challenges but they can be overcome so to anyone thinking of the industry as a career or for care of a loved one - don't take that as a signal to back away,” he explains.